Hey guys. TGIF to everyone. 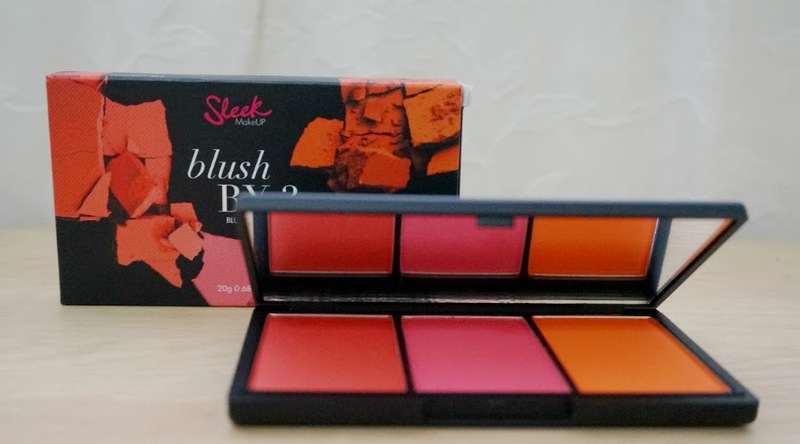 To cap off this whirlwind week, I'm doing a (rare) blush review. I still have a few blushes on hand that I need to tackle but this one stood out from the rest because of its awesomeness so I'm sharing them with you first. 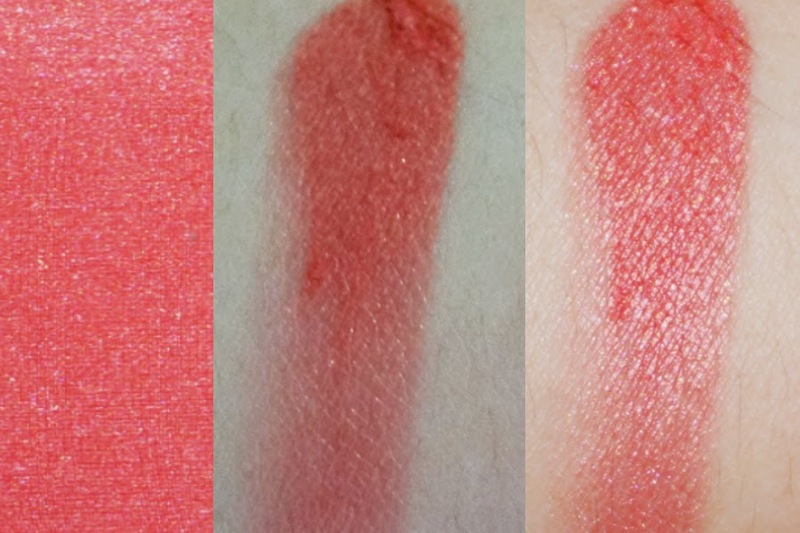 Lantern, on the left, is a satiny red with very subtle shimmers, slightly warm undertones. 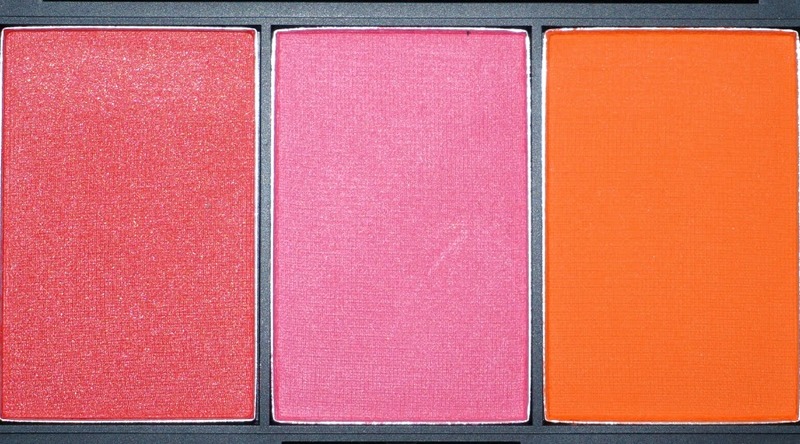 Squash is a bright, vivid pink with a slight sheen (almost matte) and cool undertones. 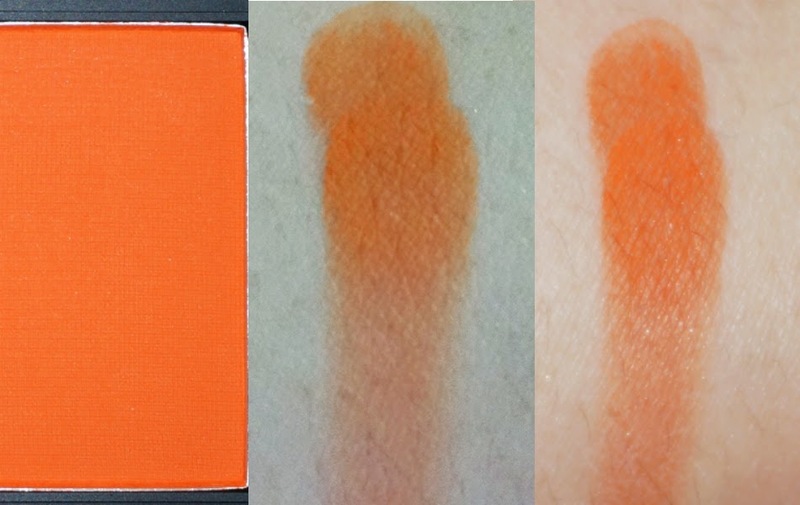 P Pie is a vibrant orange with a matte texture with some cool undertones. All the shades applied very vibrant, bright and opaque so a very (very!) light hand is needed when applying. My advise would be to ever so slightly touch the pan with your blush brush and then tap off the excess. 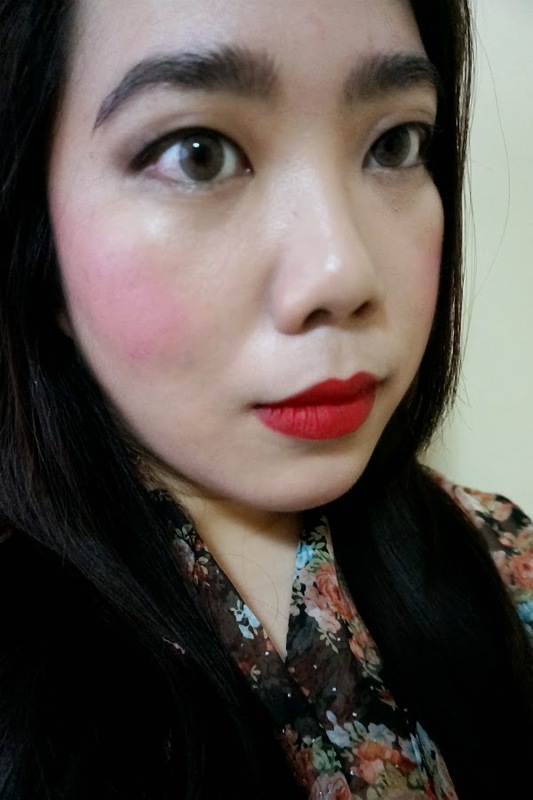 The colors are smooth and very buildable so you can always add another layer if you want a stronger look. 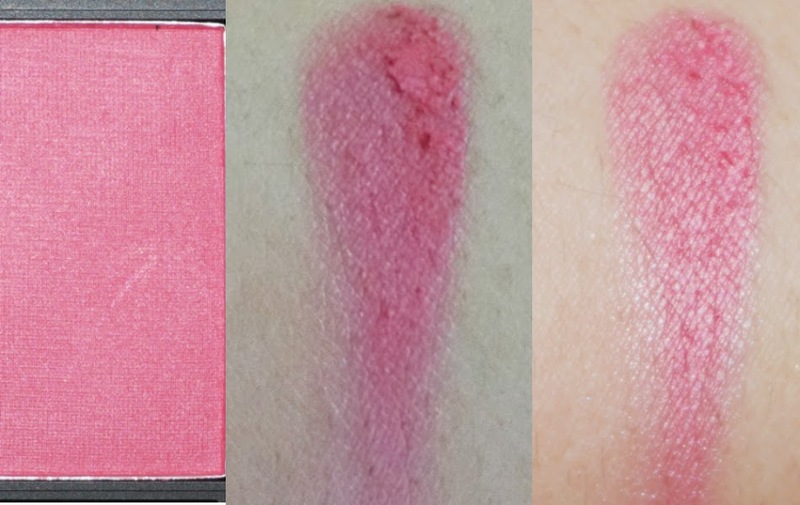 I didn't expect to really like these blushes as much as I actually do. I just intended to try out some new looks and colors. 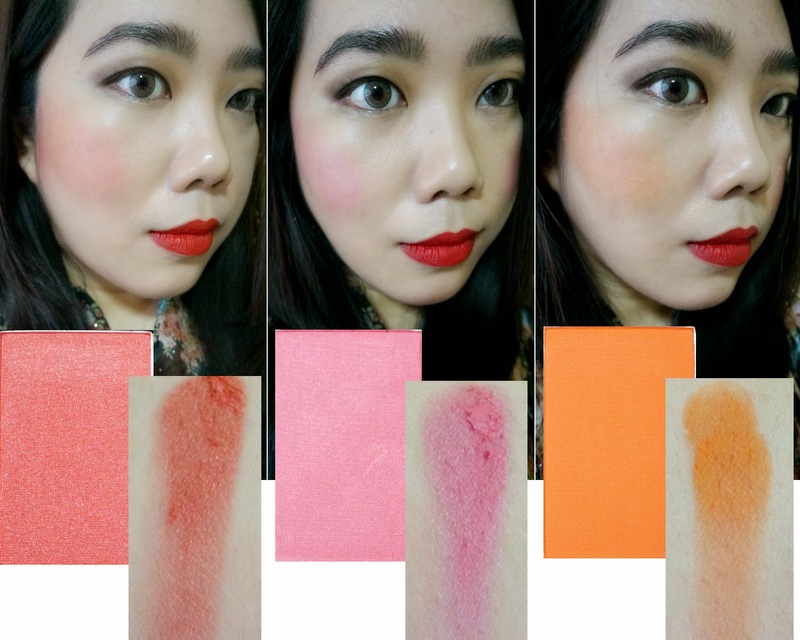 These shades are very bold but they are surprisingly very wearable and very flattering. The brighter colors liven up my face and gave great contrast against my light skin tones. This would especially look great on darker complexions. 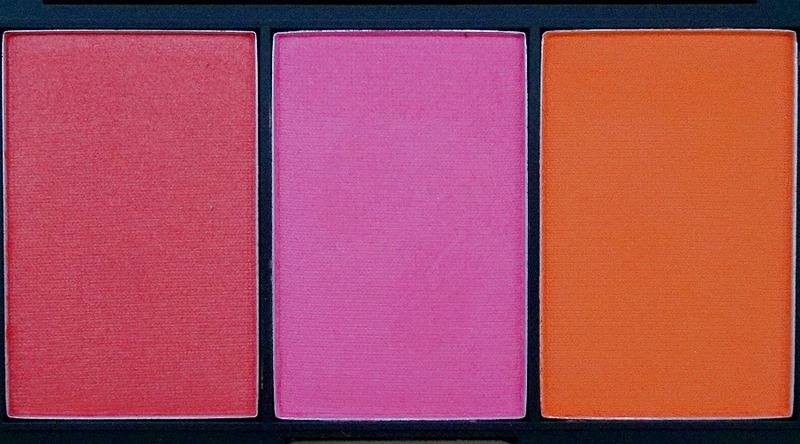 These bright shades would also be perfect for the upcoming summer months. For the pictures, I did apply a bit heavy-handedly so that the colors show up more. They are actually much brighter in person. 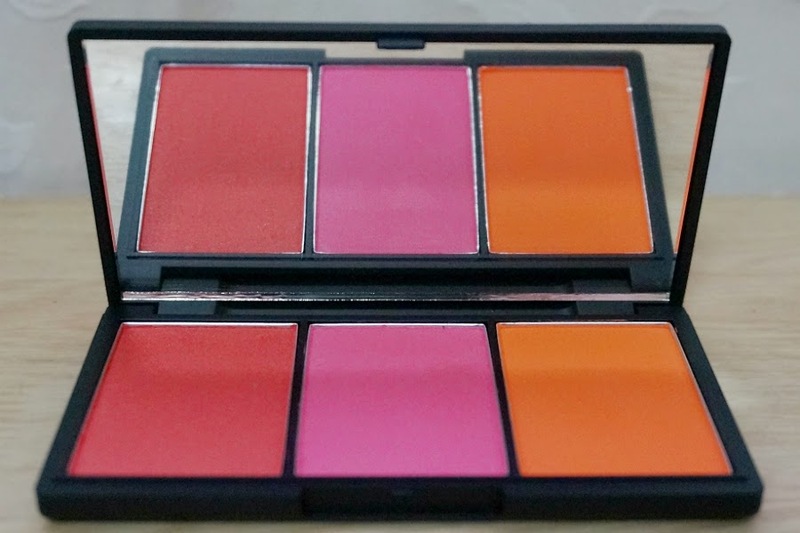 I'm not one to complain though because I'm a girl who loves vibrant and bold-colored blushes. 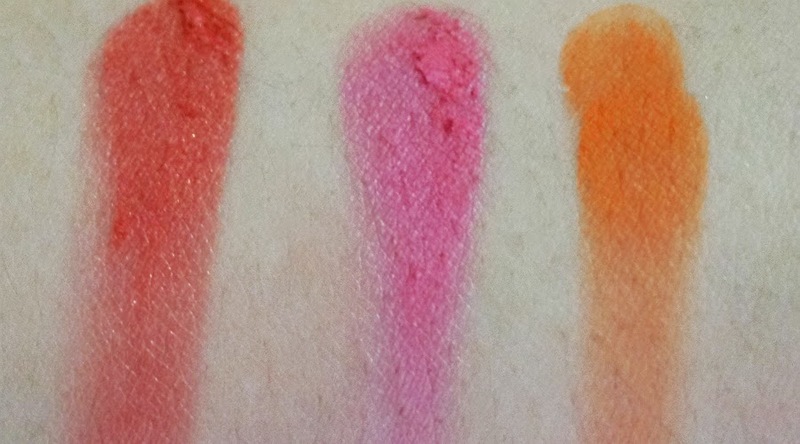 Other people might have other preferences, so the opaque pigmentation of these blushes will either be a bane or boon depending on where you stand. 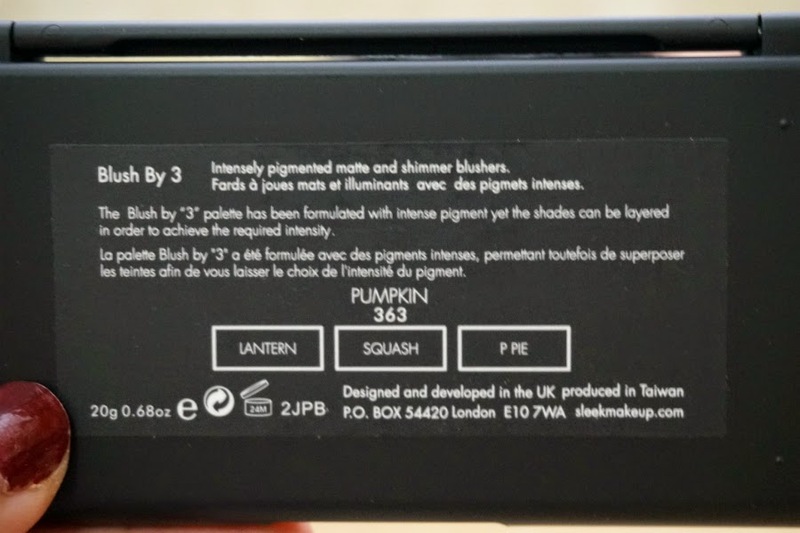 My favorite of the three shades would be "P Pie." 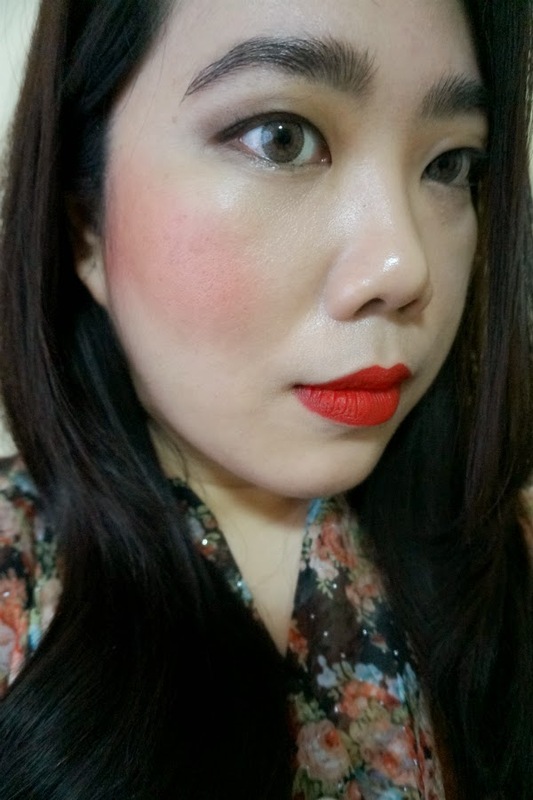 It had the most silky texture and it applied smoothly. 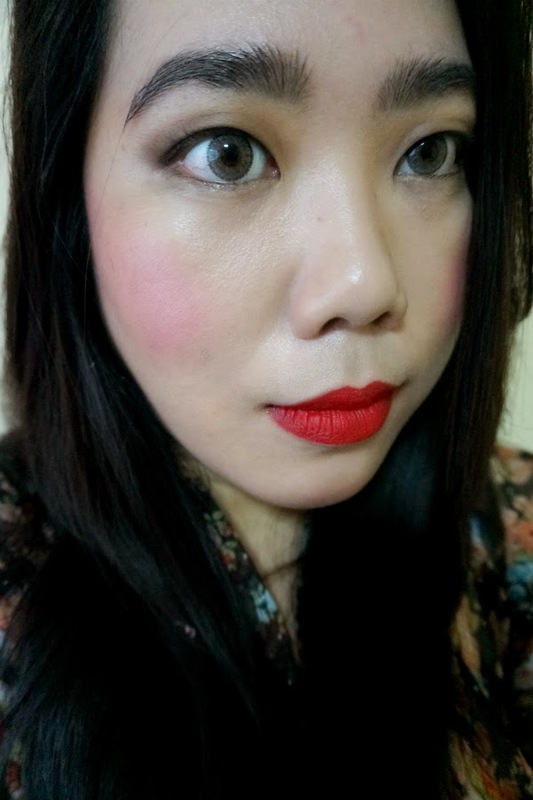 The color is really unexpected and unique and complements my skin tones very well. 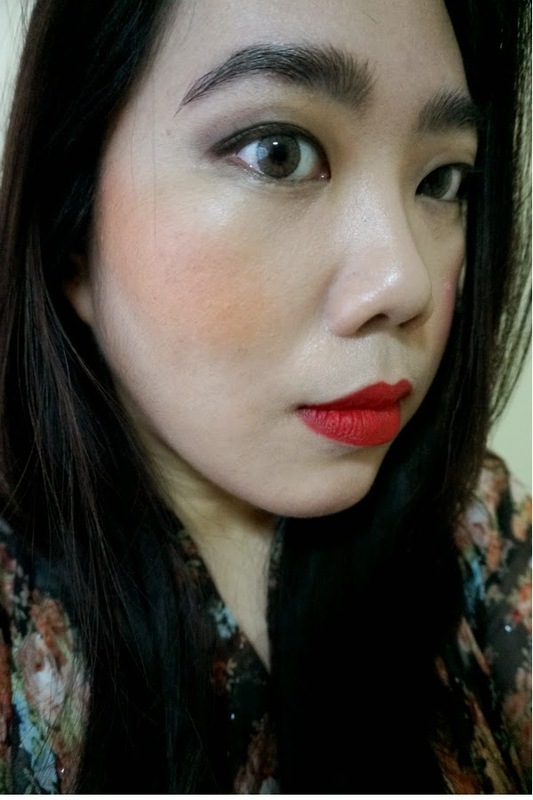 I would say that the color is very reminiscent of NARS Taj Mahal so this can be a dupe for it. I was a bit meh on "Squash" because I found it harder to blend. The texture was stiff and chalky and the color was not extraordinary. 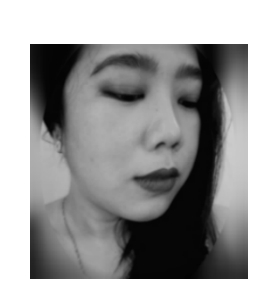 "Lantern," on the other hand, would give a light, natural flush on your cheeks if applied sparingly. It's texture was good and I had no trouble blending it out. 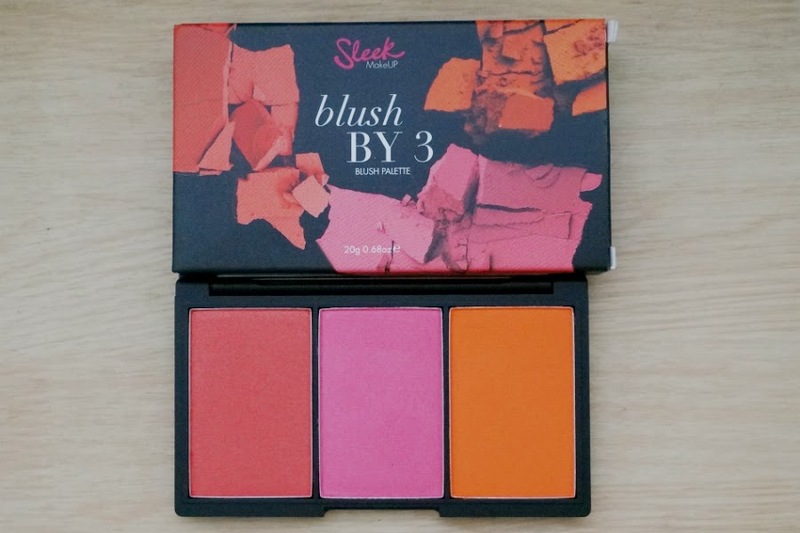 Overall: Sleek Makeup Blush by 3 in Pumpkin offers highly pigmented, smooth, and blendable colors in a compact, travel-friendly package. 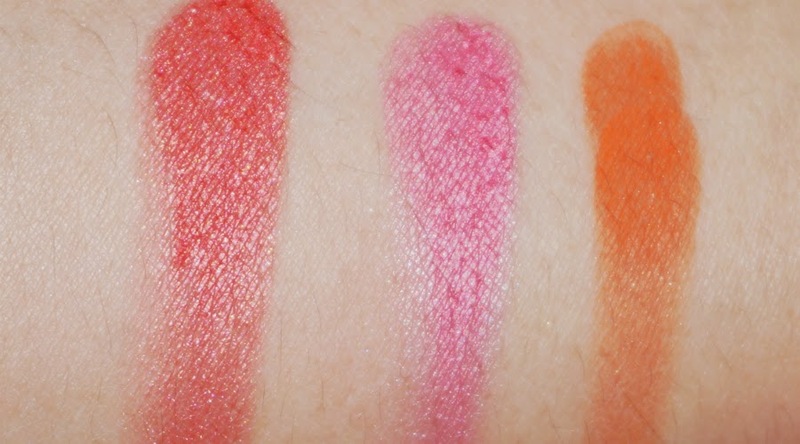 The almost neon-y shades look scary on the pan, but applied with a light hand, they would give you subtle a flush. 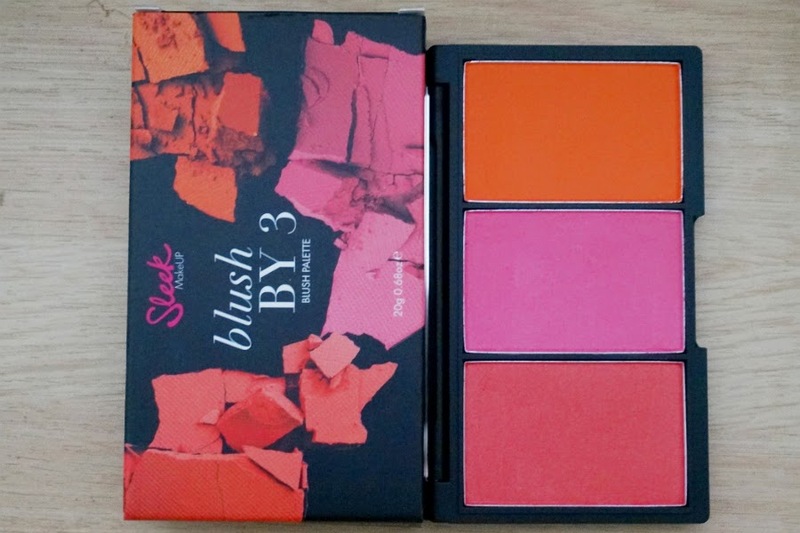 This palette is perfect for everyone, especially those who love bright colors (like me!). 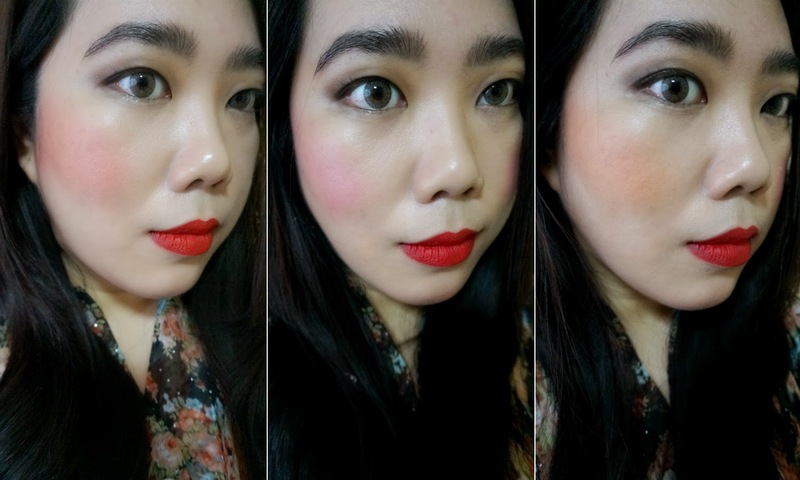 At only $12, you certainly can afford to try out different looks without committing too much.